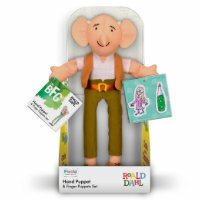 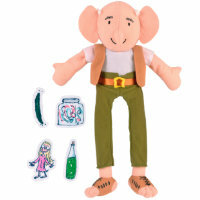 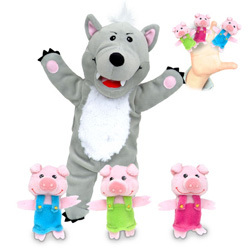 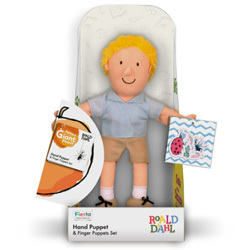 Children who love story time will adore these hand and finger puppet set to help retell and reinvent favourite fairy tales. 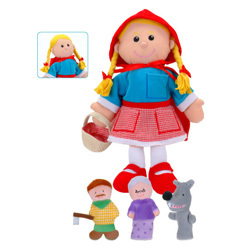 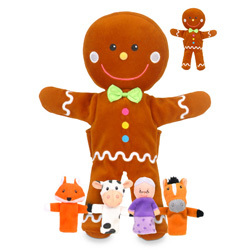 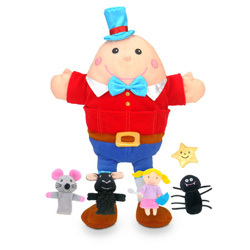 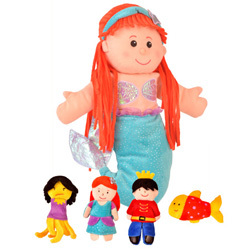 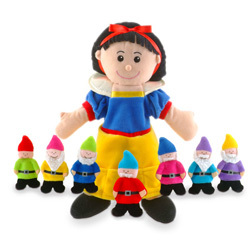 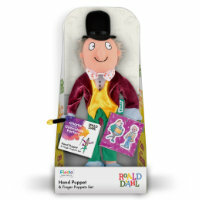 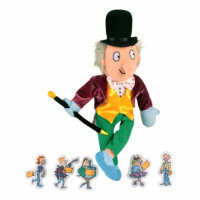 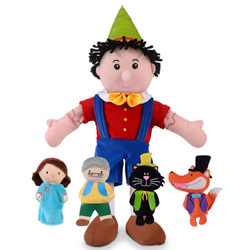 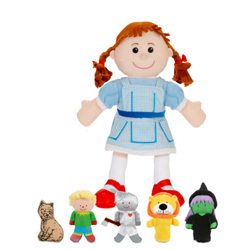 Each set includes the principal character as a hand puppet plays and is supported by the other stars of the stories as embroidered fabric finger puppets. 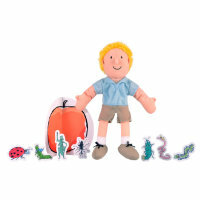 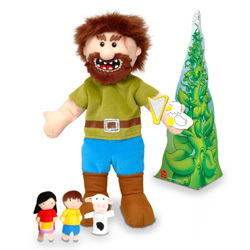 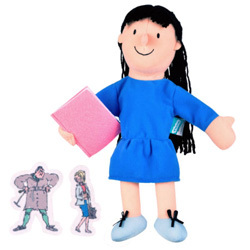 Not only great toy for individual play, they are also designed to encourage role playing with others improving their confidence and communication skills. 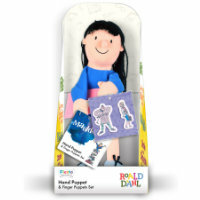 The finger puppets are stored in pockets on the hand puppet after play making it easy to keep the whole set together in one place.